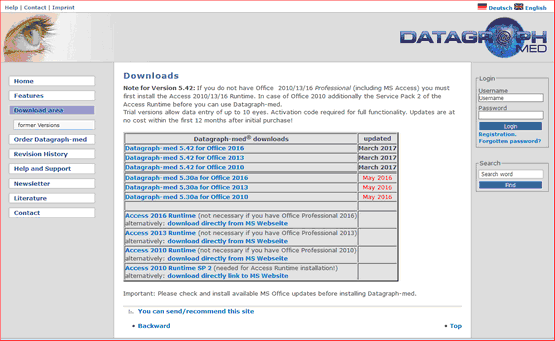 Go to the download area on www.datagraph.eu and get the latest installation files either for Office 2010, 2013 or Office 2016. 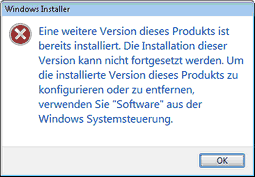 If you dont have MS Access installed, or use an older MS Office version, please also download and install the Access Runtime. If your browser settings block the download try to de-activate this security feature temporarily or use our installation media instead. 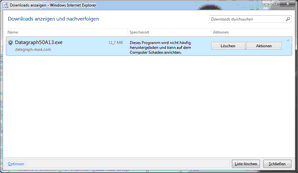 As an example the Internet Explorer may show your download in the following window and ask you to confirm to open the software despite a security risk. 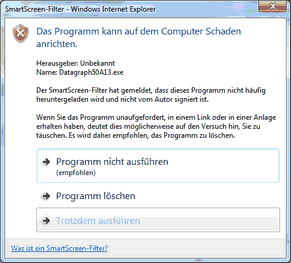 These steps may be different depending on which web browser you use and which security settings have been made. 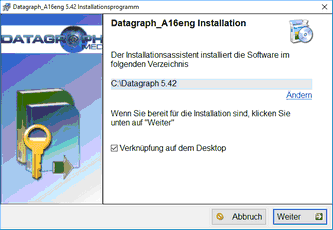 Proceed as described in Installation from USB media.